The V.40 was an even lighter sports aeroplane than the V.39. Powered by a 35 h.p. 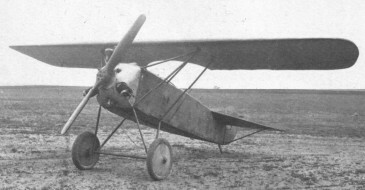 Anzani engine, it was the smallest aeroplane ever built by Fokker, but there was no market for the type.